Instant cameras offer a unique and fun opportunity to break into the world of photography. With instant cameras, you can take a photo and print it immediately. These cameras are also small and portable, making it easier for you to carry them anywhere you go. And while you won’t DSLR camera quality from instant cameras, they still print clear and colorful pictures that make for perfect keepsakes and fun mementos. If you’re not sure what kind of instant camera you need, be sure to check out our buying guide to learn more about what key features you should take into consideration. Read more about our methodology. Multiple shooting modes and automatic exposure control make this instant camera a tough act to beat, especially when you want a versatile option. And while features like these are certainly helpful, nothing is more important than the camera's ability to take good pictures. The Fujifilm Instax Mini 70 takes and prints high-quality photos with ease. If you want an instant camera on a budget, look no further than the Fujifilm Instax Mini 9. This camera provides useful features like a selfie mirror and multiple shooting modes, without empyting your wallet. On top of these features, you can also expect high-quality prints of the photos you take. The Polaroid Z2300 is a digital instant camera that gives you the freedom to choose the photos you want to print and edit them to your satisfaction before printing them. It also gives you the option of storing your photos on an SD card and taking HD video. The Fujifilm Instax Mini 90 Neo Classic is all about nostalgia. This instant camera wants you to feel like you're using your old analog camera, even going as far as including modes, like the double exposure mode, that play with light exposure. This camera is a great option if you want lots of versatility and that old-time feel. The Fujifilm Instax Mini 8 bundle gives you more options for getting creative with the pictures you take. With lens attachments and a selfie mirror, you can make sure you get the best pictures possible. It also includes a carrying case to protect your camera from dents and dings. As with any camera, you should always consider the picture quality that instant cameras provide. While you shouldn’t expect the photos you get from these cameras to be professional quality, you should still expect a quality that creates clear and colorful pictures. With instant cameras, there are two factors to consider for picture quality: the camera’s megapixel count and how well the camera prints the pictures. A higher number of megapixels leads to better pictures. Simply put, instant cameras are made to provide convenience. However, even though they can easily print photos, you should still consider whether they’re easy to use or not. Many instant cameras are simple point-and-shoot cameras, but many also include different shooting modes and features that require more work to operate. If the camera isn’t easy to use, the convenience it was made to provide is diminished. Instant cameras store film within the camera’s body. The number of sheets of film the camera can carry can vary between cameras. If you take a lot of pictures, you may want to find a camera that has a higher film capacity. You may also want to consider how easy it is to load the film into the camera once you run out. While instant cameras are about as simple as you can get with photography, many models offer additional shooting modes and features. If you want to experiment with your instant camera, you should consider purchasing one with additional shooting modes that allow you to take macro photos or capture fast-moving scenes. Many instant cameras also include additional features like selfie mirrors, additional lenses and the ability to adjust brightness. For less than $70, you can get a budget instant camera. These cameras typically offer fewer features and may not provide any additional shooting modes or other features. You may also find that budget instant cameras print lower-quality photos. In the $70-$100 range, you can purchase an instant camera that provides plenty of features that fit the desires of most consumers. These typically offer additional modes and accessories, along with a higher picture and printing quality. For more than $100, you can purchase a high-end instant camera or instant camera bundles. 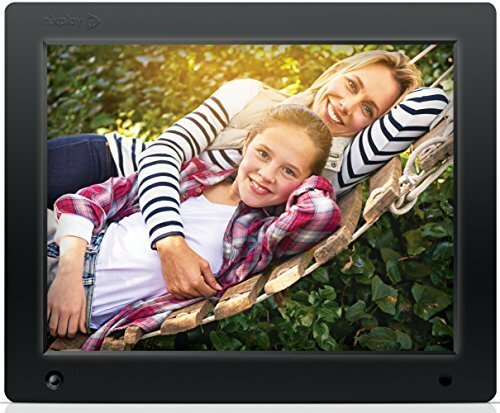 These cameras offer premium features like digital capabilities, touchscreens and smartphone compatibility. 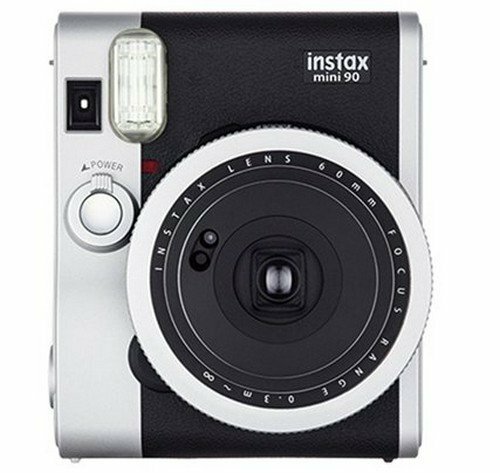 The Fujifilm Instax Mini 70 is ReviewLab’s top pick for instant cameras. With automatic exposure and low-light shooting capabilities, this instant camera makes for a versatile option that you can use for weddings, outdoor shoots, and portraiture, without having to worry about over-exposure or washed out photos. 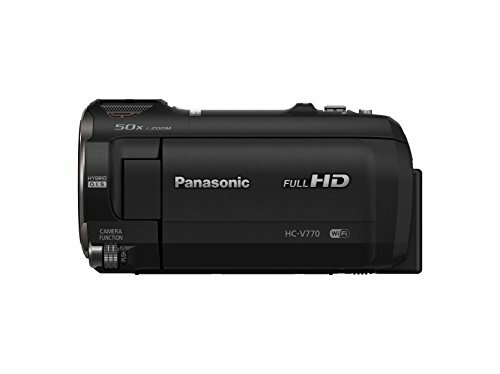 Combine that with a variety of different shooting modes and you can see why this camera is our top pick. Selfie mode. The Instax Mini 70’s main feature is its selfie mode. In today’s world of selfies and social media, having the ability to take a good selfie on the first try is worth its weight in gold, and this instant camera does selfies well. To activate selfie mode, you simply push the selfie button, and the camera automatically adjusts the brightness and focal length to the ideal settings for selfies. The camera also includes a selfie mirror on the edge of the lens that helps you perfectly frame your selfie. More shooting modes. Apart from its selfie mode, the Fujifilm Instax Mini 70 offers an additional four modes, more than most other instant cameras on the market. You can use the macro mode to take clear pictures as close as one foot away. Use the hi-key mode to get brighter photos. Landscape mode allows you to get wider photos and self-timer mode allows you to set a time and even take another photo after the first is completed. Automatic exposure control. With most digital cameras, you often have to experiment with different levels of exposure to get the right look for your photos. However, this instant camera boasts an automatic exposure feature that allows you to capture both your subject and the background, without having to worry about fiddling with settings. Fill-in flash feature. Point and shoot cameras are notorious for washing out faces with the flash, especially when taking a picture in front of a bright background. 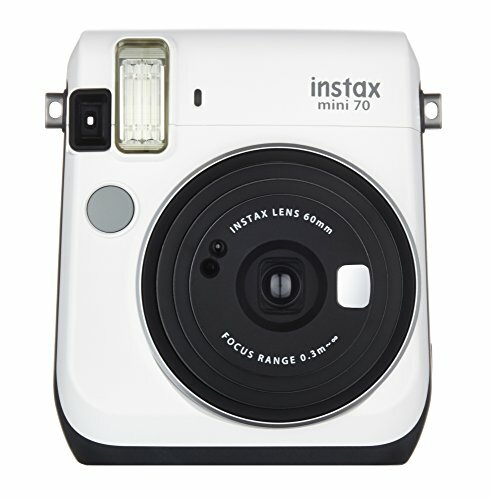 The Instax Mini 70 provides a “fill-in flash” feature that minimizing this effect, allowing you to take better pictures at night or indoors, without losing facial features. Good picture and print quality. With the help of the features and modes listed above, the Fujifilm Instax Mini 70 takes great photos and prints high-quality copies on its film. The camera can hold 10 sheets of film at any given time. Lack of additional accessories. If you like to experiment with additional accessories and lenses, you might be disappointed with the Instax Mini 70. This instant camera doesn’t offer many additional accessories. The Fujifilm Instax Mini 9 is a great introductory and budget choice into the world of instant cameras. With intuitive controls and some useful additional features, like a selfie mirror and a couple of additional shooting modes, this camera is a good choice for beginners. Selfie mirror. The Instax Mini 9 is a good option for selfie-takers, mostly due to its incredibly useful selfie mirror. The mirror is built into the camera housing, right next to the lens, so you can frame your selfie perfectly without having to waste film to get it right. Intuitive and simple controls. There aren’t a ton of buttons and dials to worry about on this instant camera, which makes for an intuitive and simple operation. The camera includes a row of LEDs that correspond to a recommended brightness mode. The camera automatically senses the best brightness settings and lights up the recommended brightness setting. At this point, all you need to do is spin the brightness dial—which circles the lens—to the recommended setting. Automatic exposure and hi-key mode. The Fujifilm Instax Mini 9 also features automatic exposure control. This means the camera constantly checks the brightness of your surroundings and uses this to recommend a brightness setting. This automatic exposure also helps the camera perform well in its hi-key mode, which makes portraits come out brighter and more colorful. Macro lens attachment. If you like to experiment more with the types of subject you capture with your camera, you’ll be pleased to know that this instant camera includes a macro lens attachment that clips onto the camera’s default lens and allows you to take clearer, close-up pictures. Underperforms in low light. Even though the Fujifilm Instax Mini 8 offers automatic exposure control, it still tends to suffer in lower-light situations, especially indoors. Digital instant cameras are the combination of the best features of both the digital and instant camera worlds. These instant cameras have the option of printing photos or saving them to the SD card and viewing them later, making these the most flexible options on the market. 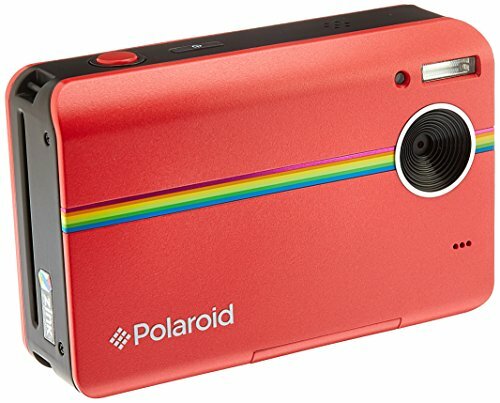 The Polaroid Z2300 combines the world of digital and instant photography with ease. The camera offers all the features of a digital camera that you have come to expect as standards, such as an LCD screen and expandable memory. It also allows you to print photos in less than a minute directly from the camera, like other instant cameras. Digital camera features and quality. The Polaroid Z2300 is a digital camera in the purest sense of the word. It offers a 3-inch LCD display that you can use as a viewfinder and to view photos that you have just taken. It also has video capabilities and a ton of different modes that you can adjust from the display. It also offers expandable memory, so you can also digitally store the photos that you print. Decide what photos to print. One of the most underrated features of this digital instant camera is the fact that you get to decide what photos you want to print. If your selfie or other photo didn’t turn out the way you wanted it to, you don’t have to waste the film to print it. This saves you film and money in the long run. Edit before you print. You also have the option of editing your photos directly from the camera’s LCD display before printing it. Some of the editing options you have with the Polaroid Z2300 include: adding borders to your photos, adding timestamps to your photos and adjusting the colors of your photos before printing. High print quality. The camera has a 10-megapixel count, leading to higher quality photos and higher quality prints. The quality of your prints is also enhanced by the ability to choose which photo you want to print and the ability to edit that same photo before printing. Poor battery life. Adding digital camera capabilities like an LCD display can cause the Polaroid Z2300 to have a poor battery life, especially compared to other instant cameras that don’t have these extra features. Instant cameras are meant to take you back to the days of analog cameras and retro-style instant cameras play into that nostalgia even more. These instant cameras look like old analog cameras and sometimes even offer modes that mimic the way these old cameras took pictures. One of the major draws to instant cameras is the nostalgia factor, and the Fujifilm Instax Mini 90 Neo Classic knows it. This instant camera looks almost exactly like one of the old analog cameras, taking you all the way back to a time when that’s all that existed in the world of photography. Combine this with features like double exposure mode and bulb mode, and you’ll get the full nostalgia experience. High performance. The Fujifilm Instax Mini 90 Neo Classic is one of the highest performing instant cameras on the market. It offers such features as automatic exposure control and a high-performance flash that helps you take the best instant photos as possible. These features optimize the exposure of your photos so you can take great photos in a variety of different lighting situations. Double exposure mode. One of the best things about analog cameras was the ability to play with light in different, creative ways. This instant camera brings this ability back with a double exposure mode. This mode allows you to expose the same sheet of film to two different exposures, allowing you to get more creative with your pictures. Bulb mode. Bulb mode is another feature on the Instax Mini 90 Neo Classic that allows you to play more creatively with light. While using this mode, you can leave the shutter button depressed for up to 10 seconds to create a light trail in your pictures. Additional modes. The Fujifilm Instax Mini 90 Neo Classic also offers several more shooting modes that give you more freedom to be creative with your photos. Macro mode allows you to capture close-up subjects and kids mode helps you capture faster-moving objects such as children or pets. The viewfinder isn’t aligned with the lens. When looking at your subject through the viewfinder, you may find that what you see isn’t exactly what will print. The viewfinder doesn’t center exactly with what the lens is seeing. Instant camera bundles provide additional accessories that you can use to get the most creativity from your instant camera experience. These bundles include the camera, along with accessories such as lens attachments and carrying cases. The Fujifilm Instax Mini 8 bundle includes the Instax Mini 8 instant camera and a host of additional accessories for that camera. Most of these accessories are aimed at giving you variety in the way you take pictures, but it also includes fun accessories like stickers and extra film. Good camera. 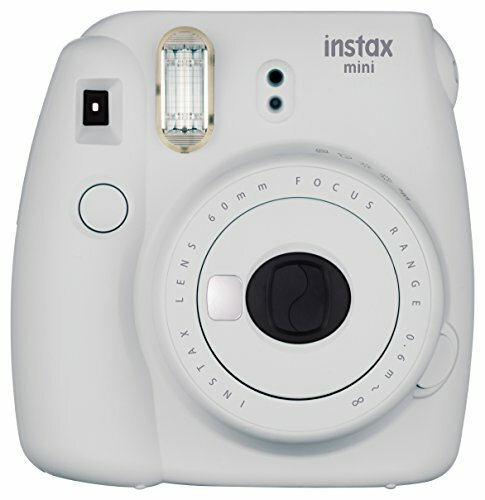 The Fujifilm Instax Mini 8 is a great instant camera that includes automatic exposure control and a hi-key mode for brighter and more colorful photos. It also features an intuitive design that’s easy to use and learn to get the best pictures possible. Additional lens and filters. 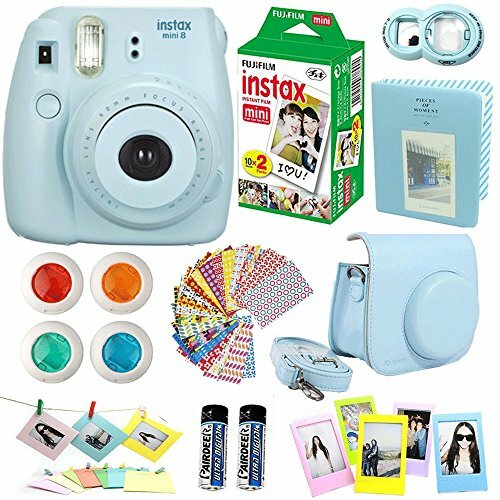 This instant camera bundle includes a selfie lens and four color filters that you can attach directly to the camera’s lens. The selfie lens has a selfie mirror attached to it so you can perfectly frame your selfie. The color filters also attach directly to the camera’s lens to give your photos a distinct look. Carrying case. The Fujifilm Instax Mini 8 bundle also includes a carrying case for your camera. The case includes an adjustable strap that can be easily clipped onto the case or removed. The carrying case is hard, which offers more protection for your camera in case it’s dropped. Accessories for your film. This bundle includes fun accessories that help you liven up the pictures you print from the camera. These accessories include things like stickers, a memory book, and hanging frames. You also get a box of 20 film sheets. Small viewfinder. You may have some difficulty looking through the viewfinder to frame your photos as it is a smaller viewfinder than other instant cameras. 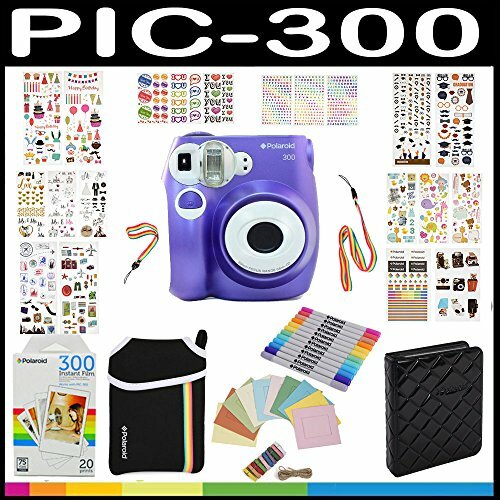 The Polaroid PIC300 instant camera bundle is focused on customizing your photos after they have been printed. The instant camera itself performs and prints well, with four different scene settings and automatic flash in low light settings. The additional accessories included in the bundle are aimed toward being creative with the pictures after they’ve been printed. Impressive instant camera. The Polaroid PIC300 is an instant camera that performs well in most settings with four different scene settings that can be easily adjusted using the dial on top of the camera. These scene settings allow you to specify what kind of light is available and adjusts the aperture to match the available light. Portable carrying case. This instant camera bundle includes a soft carrying case and adjustable strap that can connect or disconnect to the case. This gives you greater freedom to carry the camera to different locations without having to worry about scratching or damaging the camera. Decorate your photos. The bulk of additional accessories included in this bundle is dedicated to decorated and having fun with your pictures after they’ve been printed. With nine different sets of stickers, a set of twin tip markers and hanging frames, this bundle is ideal for weddings and other party-type situations. The bundle also includes a photo album where you can easily store your printed pictures. Expensive film. If you’re planning on using this camera for a party or wedding, you may want to consider purchasing third-party film, since the Polaroid film is more expensive than other brands.